The Way provides a relatively low-level crossing of the Lake District National Park, following tracks and paths along valleys and over passes in the midst of splendid and varied scenery. It passes Coniston Water, Tarn Hows and Dungeon Ghyll and crosses the Stake Pass to Borrowdale, Derwent Water and Keswick. 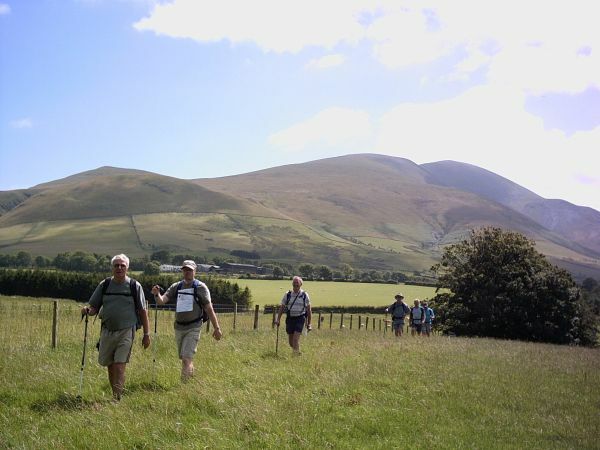 The Way continues to Caldbeck either via Dash Falls or over High Pike, and then follows the Caldew valley to Carlisle. The Ramblers' Lake District Area have been involved in waymarking, route upgrades and have a dedicated website page (see below) for the Cumbria Way. The page is intended to "advise of temporary closures and diversions, and of permanent changes to the route which may not yet be on maps or in guidebooks". It also suggests alternative routes and minor detours to visit nearby points of interest along the way.